November 6 is finally upon us and that means there are Election Day deals to keep an eye out for. Anyone out and about today can stop by some locations to get their hands on free food. 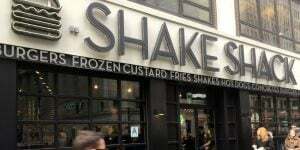 Our starting example for this is Shake Shack (NYSE:SHAK). The restaurant chain is giving out a free order of fries with any meal. Customers looking to take advantage of the Shake Shack free fries offer simply have to show their “I Voted” sticker to the cashier. They can also get the same deal by simply using the code “ivoted” when checking out. Another chain taking part in the Election Day deals is Potbelly Sandwich Shop (NASDAQ:PBPB). This chain is offering a free cookie to customers today. Customers will get the free cookie from the chain with any order that they make. Potbelly Sandwich Shop isn’t requiring quite as much from customers as Shake Shack is. The chain doesn’t need customers to show an “I Voted” sticker or use a special code. Instead, they simply have to ask for the free cookie when making their order. Shake Shack and Potbelly Sandwich Shop are far from the only chains that are offering Election Day deals. You can head over to Business Insider to see a larger list of Election Day deals to spice up the day with. InvestorPlace also has its own offerings for Election Day 2018. However, they aren’t quite as tantalizing as free food. Instead, we have a collection of Election Day images to share online and some facts for voters to keep in mind today. Article printed from InvestorPlace Media, https://investorplace.com/2018/11/election-day-deals-2018/.